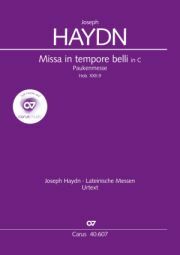 One of his later works, Haydn’s Missa in tempore belli, composed in 1796, is also referred to as the Paukenmesse (“Kettledrum Mass”) through the use of timpani in the Agnus Dei. 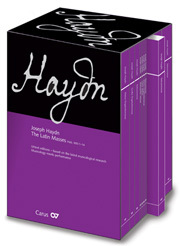 For the Vienna premiere, Haydn added flutes, clarinets and horns to the score, so that in terms of sound the soloists and the chorus have to hold their own against a truly large orchestral apparatus. 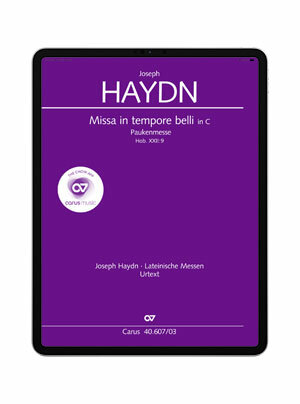 In this case, practicing with the app is of course recommended for a good vocal presence.